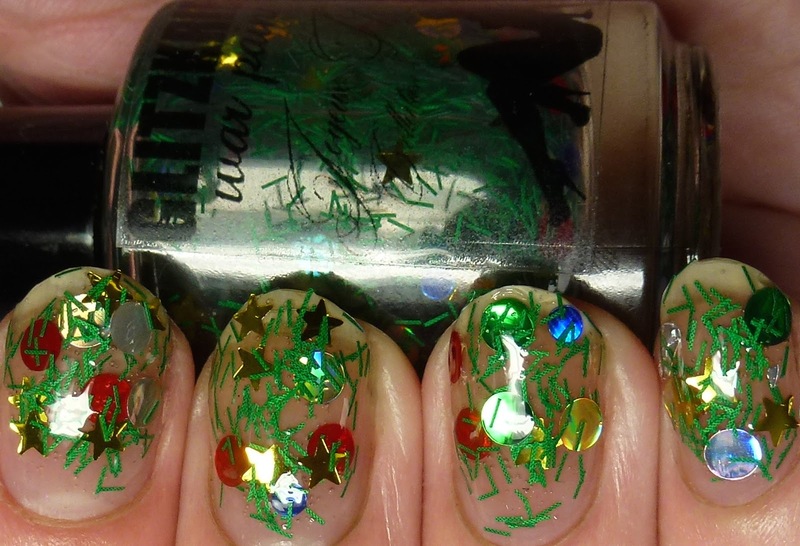 Glitzkrieg War Paint's Joyeaux Noel Collection features three pairings of shimmer polish and glitter toppers. 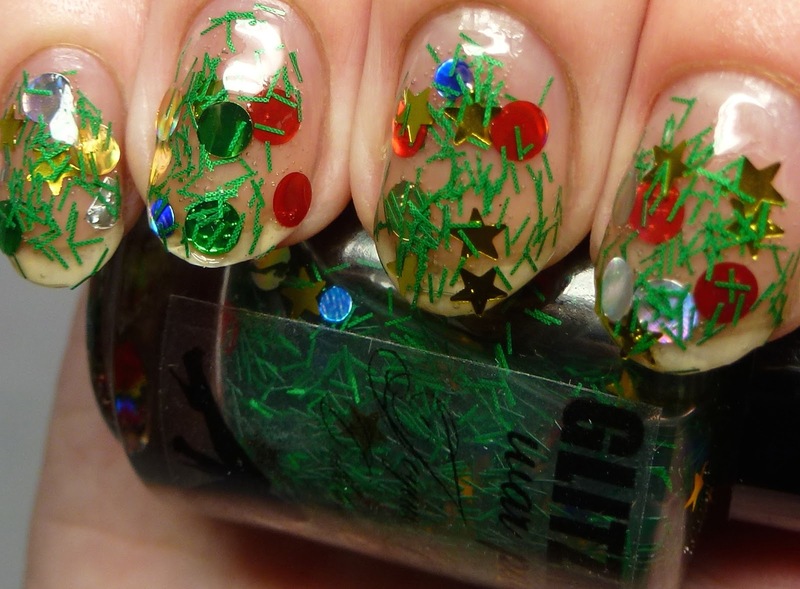 Today I have the O Tannenbaum Set. 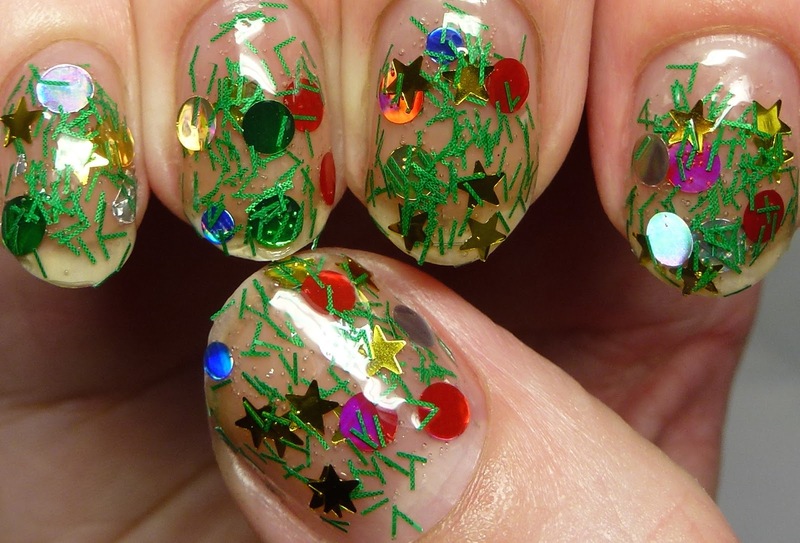 Check it out after the break! 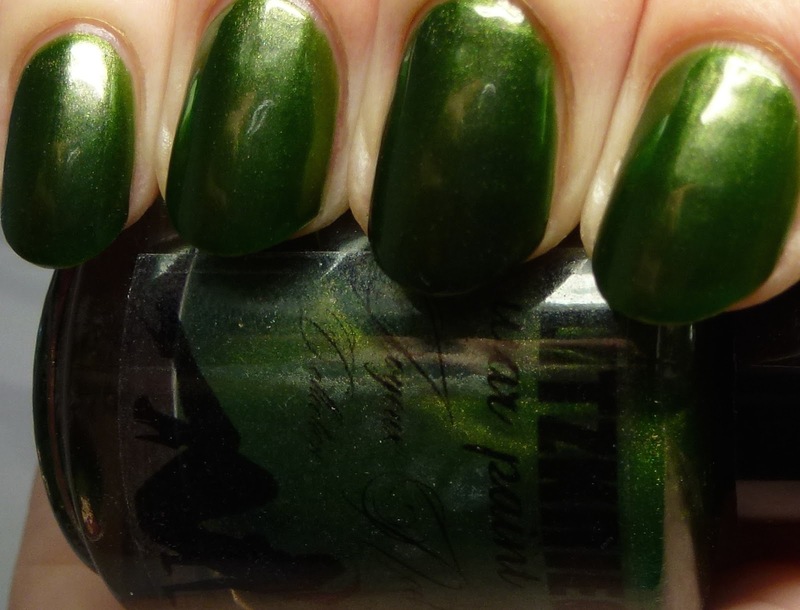 Scotch Pine is a forest green jelly with duochrome pink-to-green shimmer. 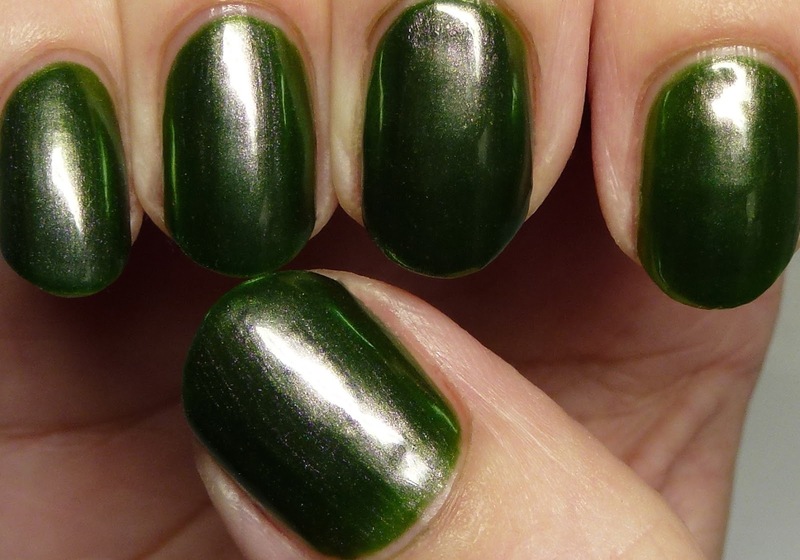 I'm wearing it here with four thin coats. 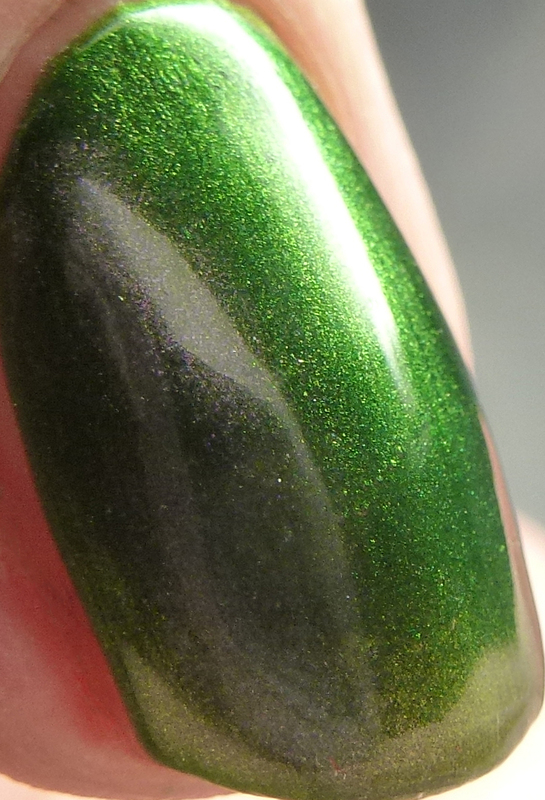 I recommend thin coats to prevent bubbling. 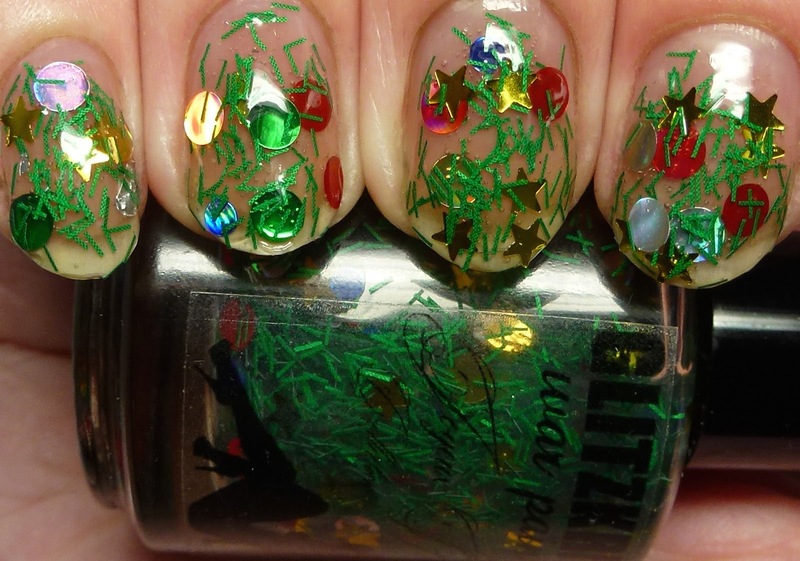 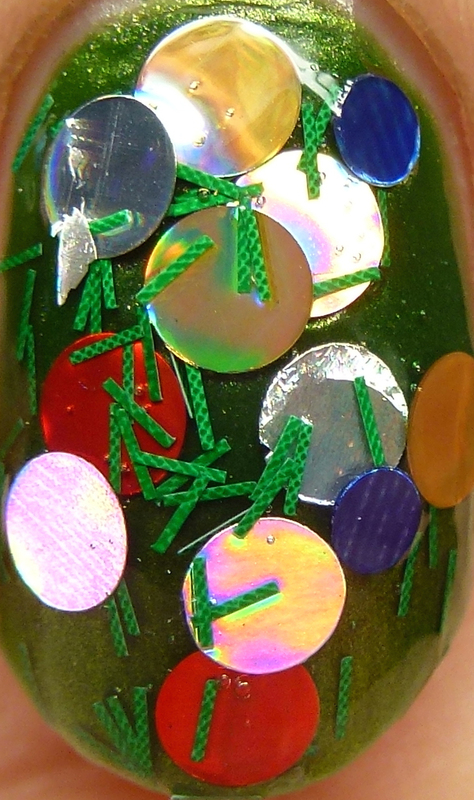 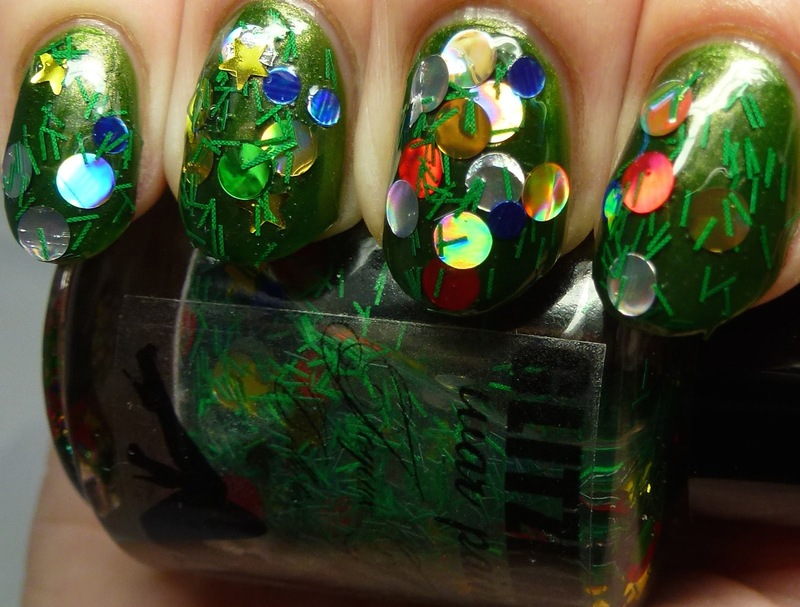 Tree Trimmin's has matte green bar glitters, gold stars, and large silver, gold, red, green, and blue circle glitters, some of which are also holographic. 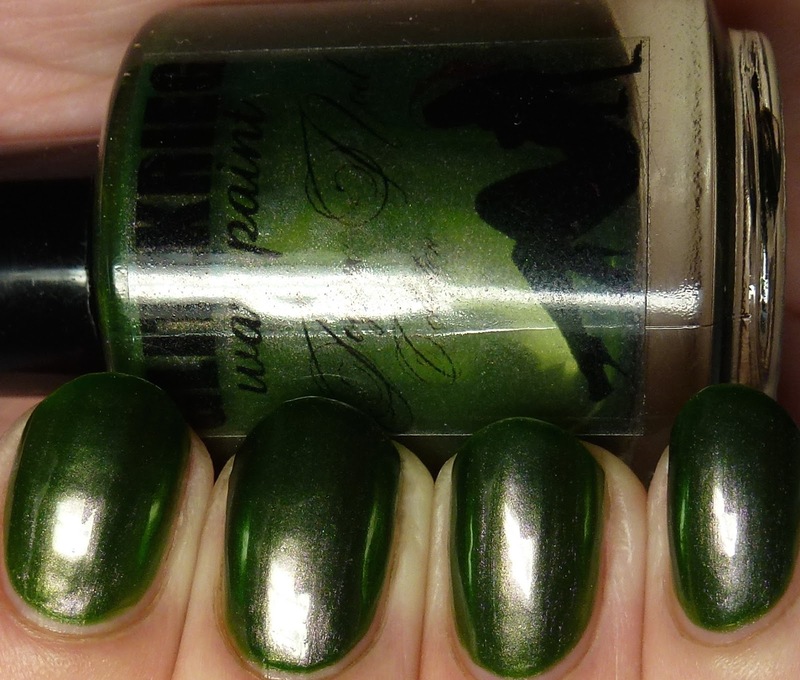 I wore this with four coats on its own and also two coats over Scotch Pine. 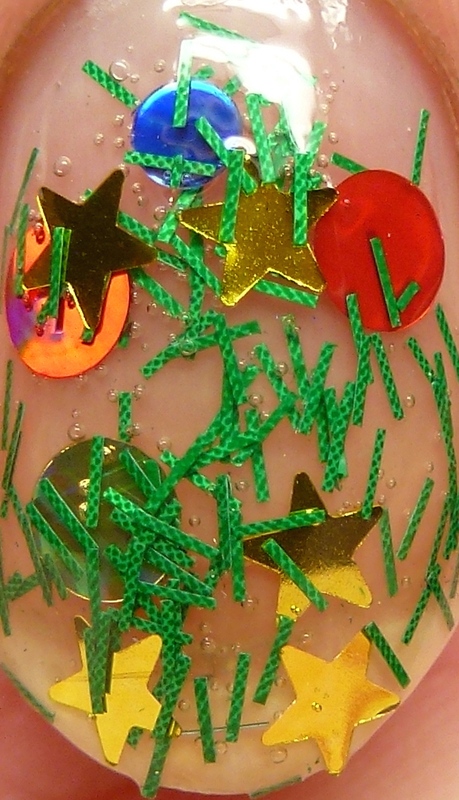 I put the bottle upside down for a day before use and was able to get tons of the larger shape glitter out. 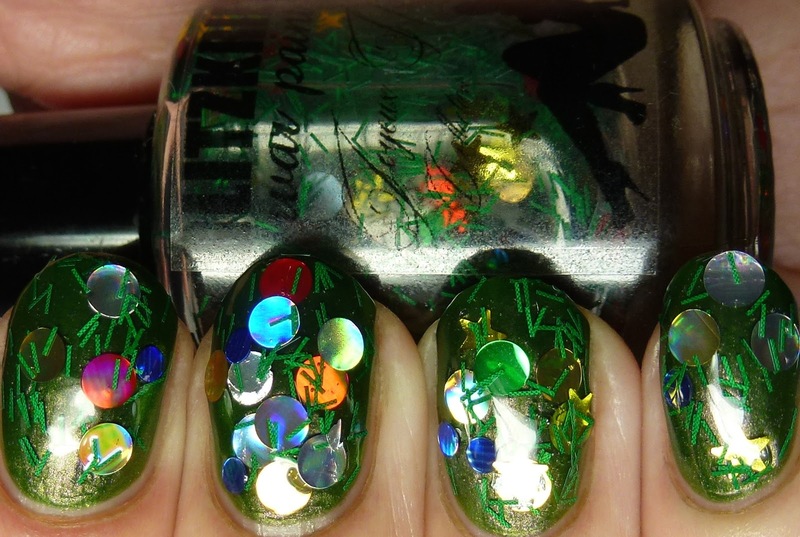 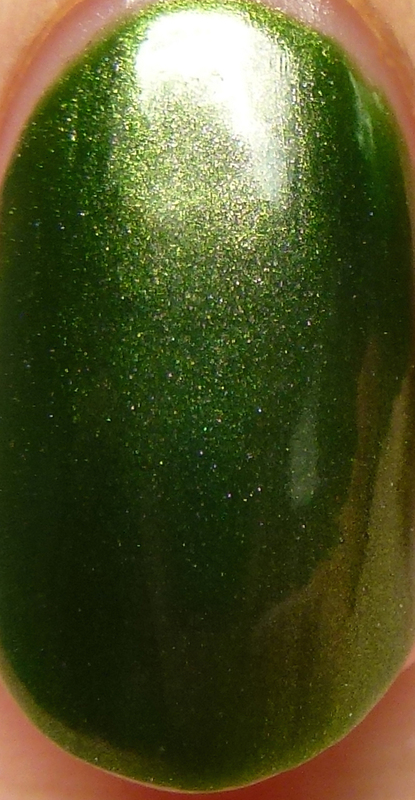 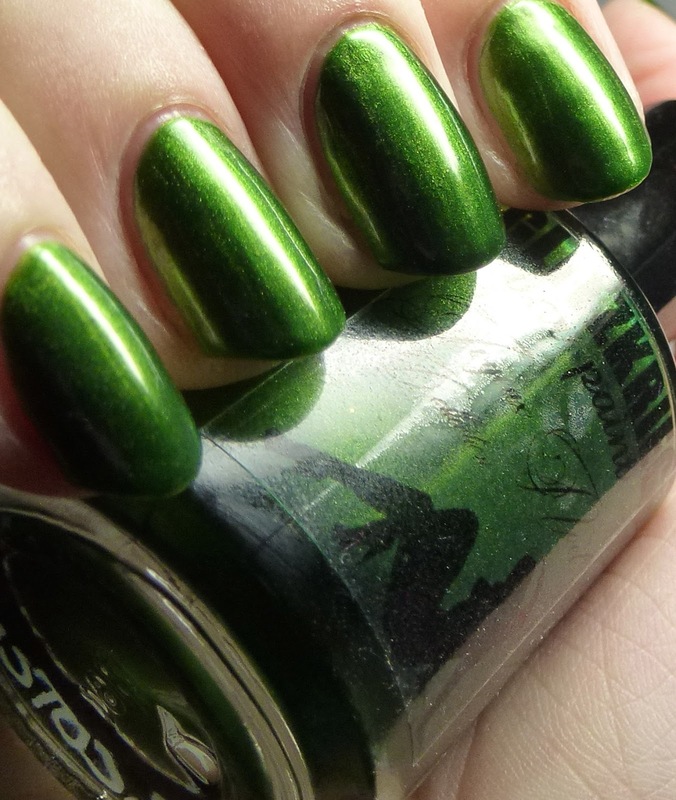 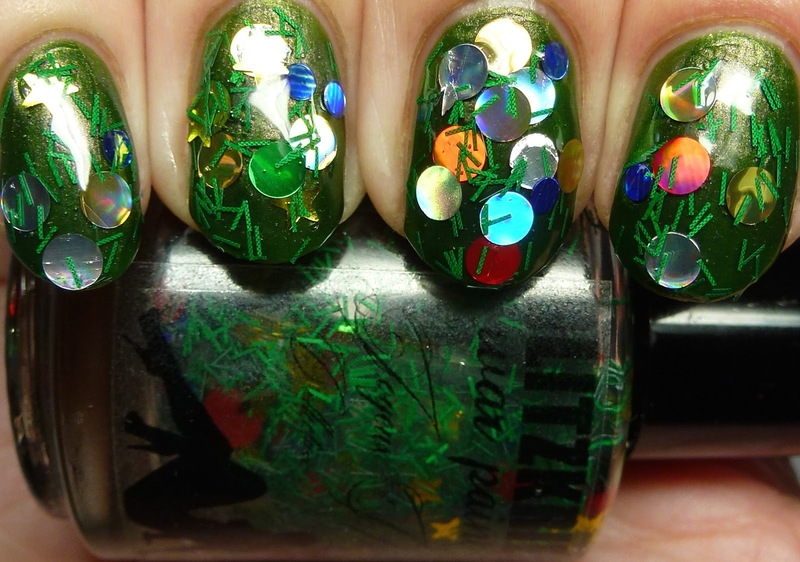 This polish is especially neat in the bottle, as it looks like a Christmas tree exploded!